The portfolios of Tamil Nadu Chief Minister J Jayalalithaa have been allocated to state Finance Minister O Panneerselvam by the Governor on Tuesday. She will, however, continue as the chief minister of the state till she fully recovers. Paneerselvam will also preside over cabinet meetings and arrangement has been made as per the advice of Jayalalithaa, said a statement from the Raj Bhavan. 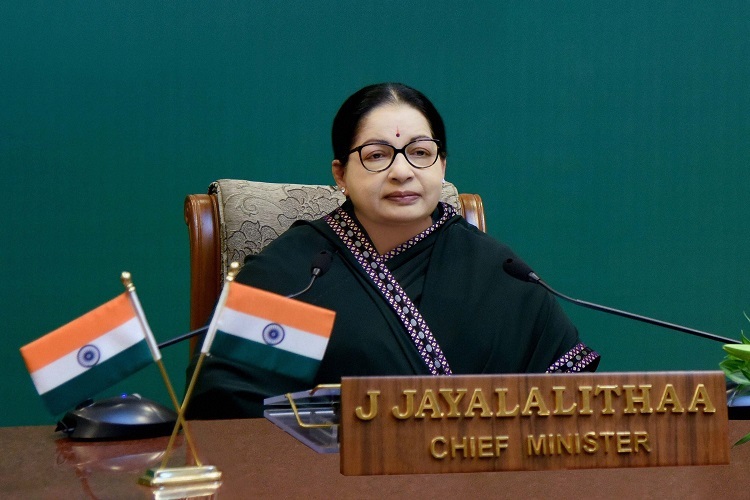 “Under Clause (3) of Article 166 of the Constitution of India, the Governor of Tamil Nadu today allocated the subjects hitherto dealt by Chief Minister J Jayalalithaa to O Paneerselvam,” a Raj Bhavan press release said. In the meantime, Tamil Nadu police on Tuesday enlisted private cyber experts to keep a watch on platforms like Facebook and WhatsApp and warned of stern action against those indulging in rumour mongering and spreading malicious content about Jayalalithaa’s health status. The police have so far registered 43 cases and arrested two persons in connection with posting of “malicious and false content” on the social media about the health of 68-year-old Jayalalithaa. Jayalalithaa was admitted to Apollo Hospitals on September 22 for “fever and dehydration.” According to medical bulletins released by the hospital this week, the chief minister was given antibiotics to treat infection and she is recovering well.